Your Support Makes a Difference—Thank You! Become a Member by making a gift to the Annual Fund. 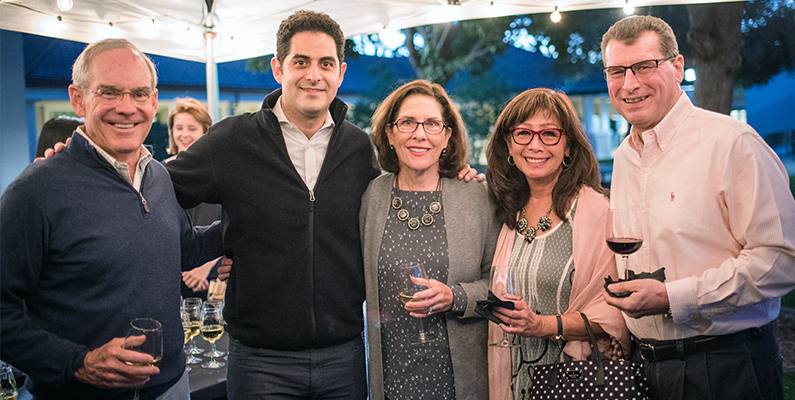 Support the Music@Menlo Fund: Initially funded by the Tenth-Anniversary Campaign, the Music@Menlo Fund holds board-designated funds to support Music@Menlo’s long-term financial health and for board-designated special projects. Please contact us to learn more about making a special gift or pledge to the Music@Menlo Fund and to learn about special recognition opportunities. Online: Donate now using our secure online donation form. Music@Menlo accepts Visa, MasterCard, and American Express. Phone: Please call 650-330-2141. Music@Menlo accepts Visa, MasterCard, and American Express. Mail: Send a check made payable to “Menlo School: Music@Menlo” to Music@Menlo, 50 Valparaiso Avenue, Atherton, CA 94027. Gifts to Music@Menlo are 100 percent tax deductible as allowed by law. Music@Menlo is a self-supporting program of Menlo School, a 501(c)3 not-for-profit educational organization. Join the Isaac Stern Circle by including Music@Menlo in your estate plans. Planned commitments of support help champion the future of chamber music education and performance. Please speak with us about your specific interests and wishes. 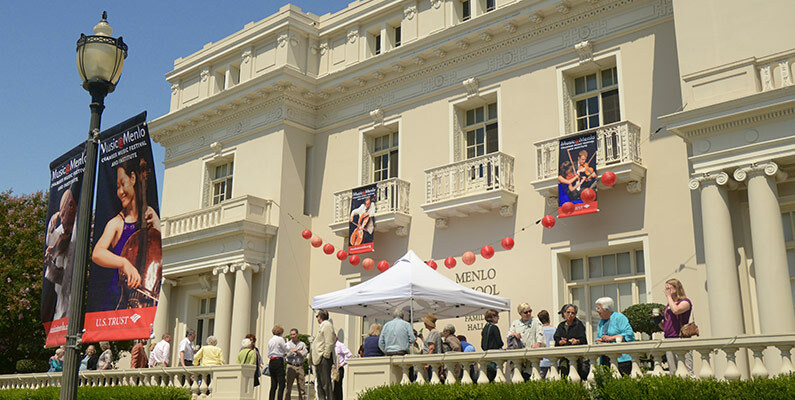 Music@Menlo offers many planned-giving options through Menlo School. Please visit the school’s website to learn more, contact Elizabeth Hansen at 650-330-2141, and talk to your estate planning advisor. A gift of appreciated stock may offer valuable tax benefits. Please contact your financial advisor for more information. Many local companies (including Google, IBM, Yahoo, Adobe, Oracle, and more) will match the charitable donations of their employees (and sometimes retirees), allowing you to double or triple the impact of your gift. Contact your employer’s human resources department to find out more. Music@Menlo is an eligible 501(c)3 not-for-profit educational organization. Music@Menlo appreciates in-kind gifts of wine, catering, party decorations, Apple iPads and iPhones, and other items that help offset operations expenses. Please contact the development team to learn more about donating in-kind gifts. To learn more, please call 650-330-2133 or email lee@musicatmenlo.org. Music@Menlo is made possible by a leadership grant from the William and Flora Hewlett Foundation. Additional support is provided by US Trust, Koret Foundation Funds, and the many individuals and organizations that share the festival’s vision. 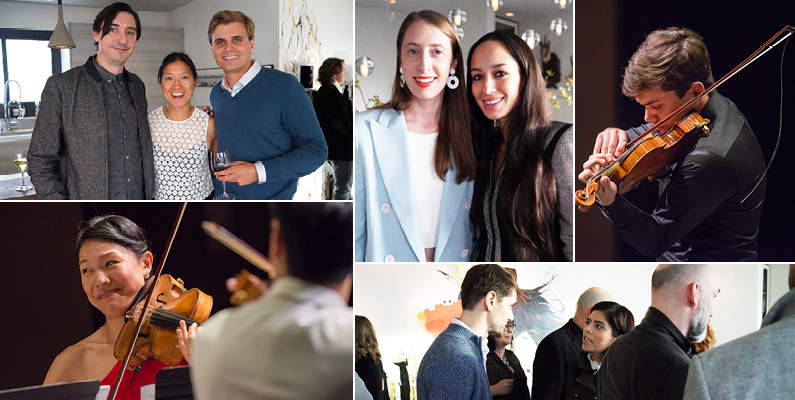 Your support through the Young Patrons Society will help to fund over fifty events during Music@Menlo’s summer festival, underwrite free programming including afternoon concerts and open coachings, and provide a world-class educational experience for the young and emerging artists of the Chamber Music Institute. Your support also enables Music@Menlo to provide year-round activities including classroom and community engagement. For more information, please contact Lee Ramsey, Development Director, at lee@musicatmenlo.org or 650-330-2133. Remembering Music@Menlo with a bequest from your estate will help sustain and strengthen the festival and institute for years to come, while retaining control of and use of your assets during your lifetime. A bequest is a simple way to make a gift from your estate—a transfer of cash, securities, or other property made through your estate plans. You may make a bequest by including language in your will or trust leaving a specific dollar amount, a percentage of your estate, or the residual of the estate after you have made bequests to your family. Bequests to Music@Menlo may reduce your estate taxes. A gift of your retirement plan or life insurance policy can be made by designating Music@Menlo as a beneficiary. To do so, contact your retirement plan administrator or life insurance company and complete the appropriate beneficiary designation form. Charitable gift annuities allow you to make a significant gift to benefit Music@Menlo while receiving fixed payments to you and/or your family for life, regardless of the economic climate. A charitable gift annuity is a simple contract. When the contract ends, the remainder is used to support the work of the Festival and Institute. This trust provides either fixed or variable annual payments for you and/or your family for life and/or a term of years. This trust provides tax benefits and at the end of the term, the remainder of the trust assets go to Music@Menlo for the purposes you designate. Your gift goes into an investment pool that functions like a mutual fund. Investment returns are paid to you and/or your family for life, after which your gift is withdrawn and used to support your designated purpose at Music@Menlo. A charitable lead trust makes annual income tax-deductible gifts to Music@Menlo for a period of years, and at the end of the term, the remaining assets go to your family or other beneficiaries. Whether you are making an outright gift or a planned gift, Music@Menlo welcomes many types of assets. Options include cash, publicly traded securities, non-publicly traded assets, real estate, retirement plans, life insurance policies, gifts in kind such as personal property, and other possibilities. For more information on the Isaac Stern Circle or to become a Member, please contact Edward P. Sweeney, Executive Director, at edward@musicatmenlo.org or 650-330-2138. Music@Menlo and Menlo School are not engaged in rendering legal, financial or tax advice. Charitable giving has complexities that cannot be adequately detailed in brief descriptions. Individual personal situations may vary. Please contact your financial or legal advisor. Violinist Isaac Stern was an extraordinary musician, arts advocate, and humanitarian. His contributions to the performing arts – including advocacy roles with Carnegie Hall and the National Endowment for the Arts – created a lasting legacy that continues to be celebrated to this day. In the spirit of Isaac Stern, we invite you to join a group of visionary individuals by including Music@Menlo in your estate plans. Adding Music@Menlo to your will or revocable trust is easy to arrange – You can find sample bequest language here. For information on different ways to leave your legacy, click here. 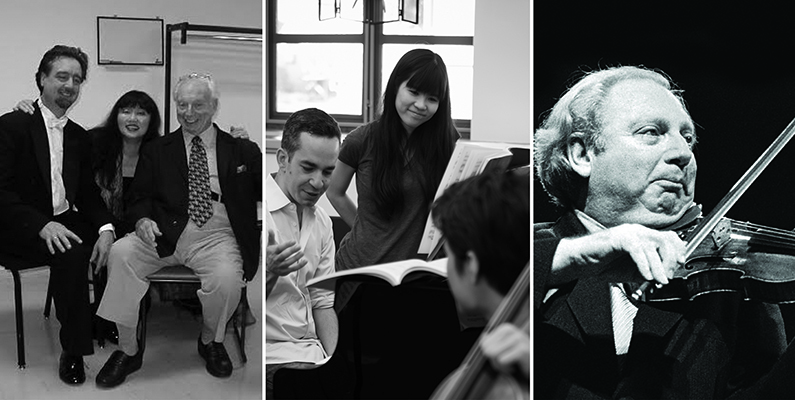 As a Member of the Isaac Stern Circle, you will enjoy the greatest benefit possible – knowing that your spirit of philanthropy will have a profound and lasting impact on Music@Menlo – and will inspire many others who share your vision for Music@Menlo’s future. Letting us know that you would like to become a Member (or have already included Music@Menlo in your estate plans) allows us to thank you and recognize your kindness and generosity year after year. For more information on the Isaac Stern Circle or to become a Member, please contact Lee Ramsey, Development Director, at lee@musicatmenlo.org or 650-330-2133.